Welcome to the Trent Biomaterials Research Program and Laboratory, led by Principal Investigator Professor Suresh Narine. Professor Suresh Narine, named in 2011 as one of Canada’s Top 40 Under 40 Leaders, is originally from Guyana. Appointed Professor and AVAC Research Chair at the University of Alberta at the age of 27, Professor Narine became a Natural Sciences and Engineering Research Council (NSERC) Industrial Research Chair in Lipid Utilization at the University of Alberta in 2006. At the University of Alberta, he was the founding Director of the Alberta Lipid Utilization Research Program, and pioneered the development of technology to produce polyurethanes from vegetable oils among many other accomplishments. He was awarded the prestigious “Growing Alberta Leadership Award for Innovation in 2005. In 2006, Professor Narine received the Trent University Distinguished Alumni Award from his alma mater. In 2005, Professor Narine accepted a presidential appointment as the Director of Guyana’s Institute of Applied Science and Technology, a role which he maintains to date, together with his academic appointments in Canada. For his work in the development and commercialization of biofuel technology in that country, he was awarded the Guyana/Canada Special Achievement Award in 2007. In 2009, Professor Narine was recruited back to Ontario to join his alma mater, Trent University, as a senior Professor in the Departments of Physics and Astronomy and Chemistry, and as the Director of the Trent Centre for Biomaterials Research. At Trent University in February 2010, Prof. Narine was awarded a $1.25 million Ontario Research Chair in Green Chemistry and Engineering from the Council of Ontario Universities, in collaboration with the Ontario Ministry of the Environment. In November of that same year, he was awarded a $3 million senior industrial research chair in biomaterials from the Natural Sciences and Engineering Research Council of Canada (NSERC) in partnership with Elevance Renewable Sciences, Inc. and the Grain Farmers of Ontario. 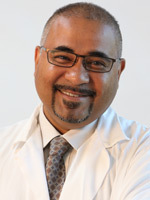 Under Dr. Narine’s directorship, the Trent Centre for Biomaterials Research has developed collaborative research agreements with the Mahatma Ghandi University in Kerala, India, The Hebrew University in Jerusalem, Israel, University of the West Indies in Cave Hill, Barbados and the Universidade Estadual Paulista in Botucatu, Brazil. The relationships with Guyana, Israel, India, Barbados and Brazil also allows for cross-fertilization among undergraduate and graduate students in multi-country, multi-disciplinary research projects supported by both Industrial Partners and various levels of government in the respective countries, and is expected to accrue to the development of green technologies and internationally trained highly qualified personnel. A talented teacher, Professor Narine has also won numerous teaching awards, including the Students Union Award for Leadership in Undergraduate Teaching from the University of Alberta. He recently (22 November, 2011) received an award from the President of Guyana, the Hon. Bharrat Jagdeo, for his contributions to Science and Technology in Canada and for his contributions in this field towards the development of Guyana.